Serdar GÜNER, was born in 1967 in Aydın. Married and has 1 child. Membership, Congress, Conference, Seminar etc. 1994- "E.A.C.R. (EUROPEAN CANCER RESEARCHES PRESENTATION (BERLİN))"
2001- "E.R.S. BERLİN POSTER (DISCUSSION PRESENTATION)"
1993- "EGE ÜNİVERSİTESİ RESPIRATORY FUNCTION TESTS CERTIFICATE"
1994- "TÜBİTAK CANCER RESEARCH AWARD (Bronchoscopic Approach and Tumor Determiners)"
2005- "T.C. 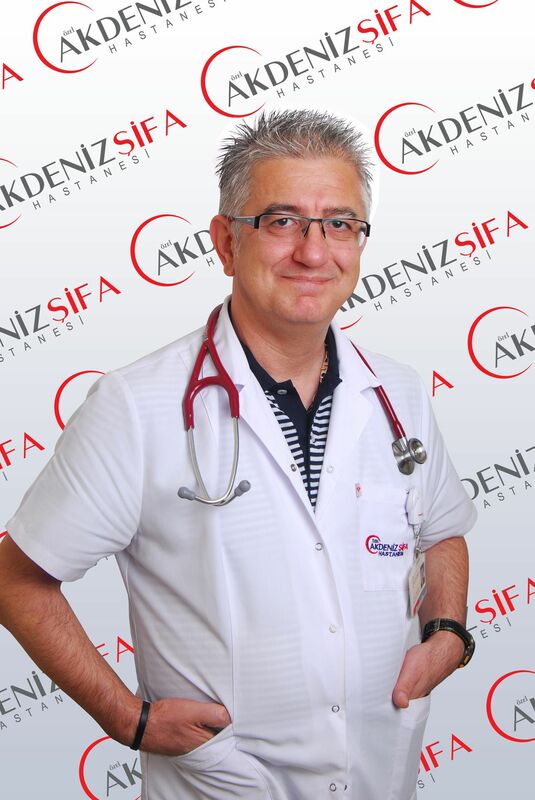 PRIME MINISTRY MANISA YEAR DOCTOR"
2009- "BOĞAZİÇİ UNIVERSITY CLINICAL RESEARCHER COMPETENCY DOCUMENT"
2011- "SLEEP-APNE AND POLISOMNOGRAPHY COURSE-ANTALYA"